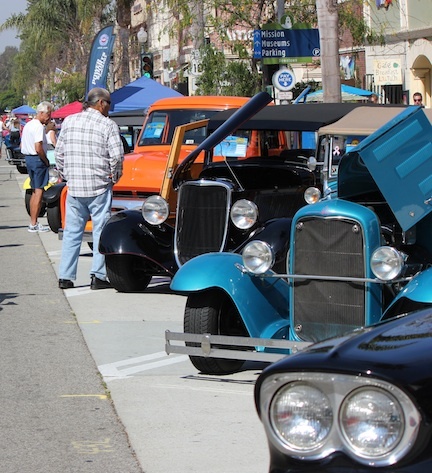 For the first time since 1975, Ventura is having a Hot Rod show on Main St.
A few of my neighbors turned out this morning for the first Main St. Hot Rod fest in a long while . . .
Actually, it was more than a few. 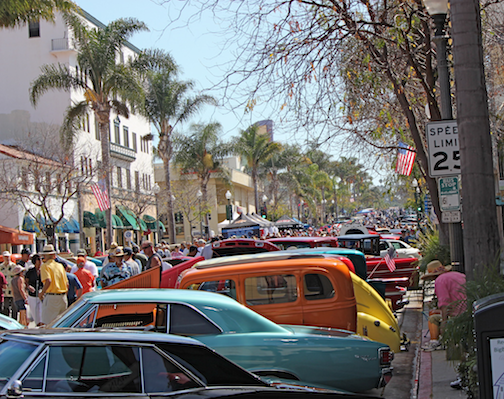 In fact so many folks crowed onto Main St. that it was difficult to capture photos. 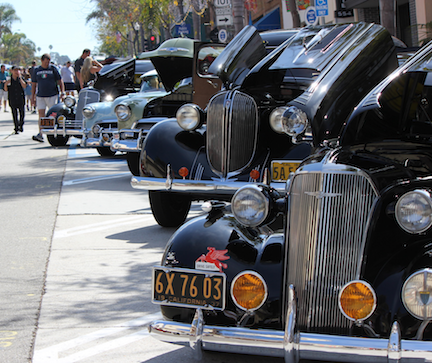 On display were Rods of every kind lined up on both sides of Main St. The “other” side of the street is shown below . 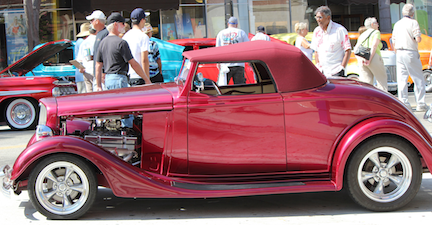 . .
Red is a popular color for Hot Rods. It’s called the “Speed Demon”. (I reply). 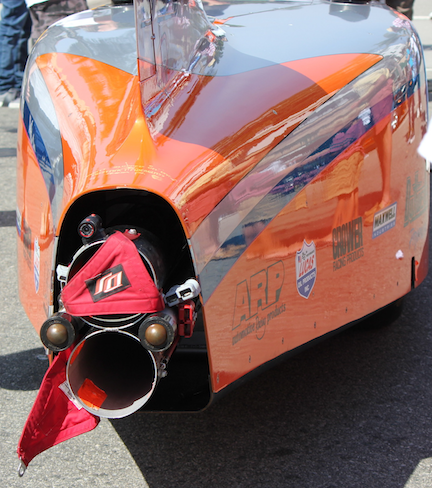 The rear end of the Speed Demon shows where it gets it’s push from two rocket exhausts . . . 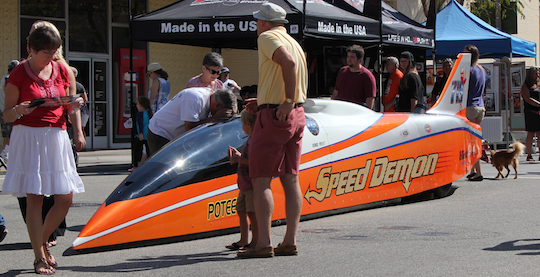 Checking out a more conventional engine . . . 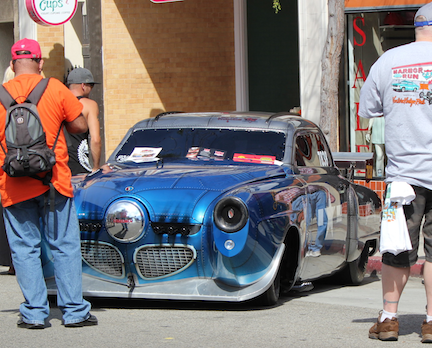 The photo, below, shows a “Rod” created using a Studebaker “starlight Coupe” as a base. When I was a much younger kid I owned one of these, but I never turned it into a Hot Rod. I did, however, wrap it around a tree, and that’s a story for another day. 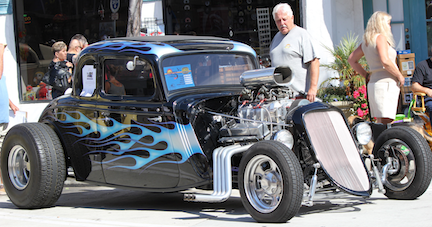 One “Odd Rod” that caught my eye is this one . . . 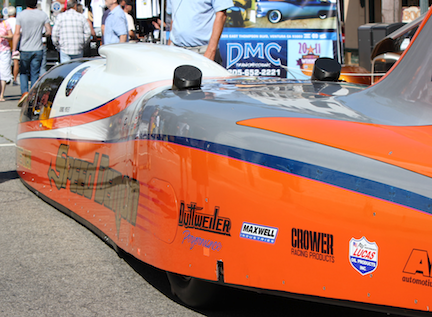 This rather strange looking beast is powered by a huge V8 engine. The show could go on, and on, . . . but if you have come this far, it is probably time to go find something else to look at. 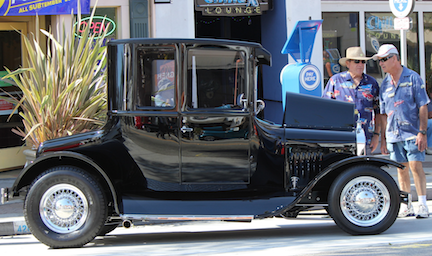 This entry was posted in Miscellaneous Musings and tagged California, Hot Rods, Main St., Ventura CA. Bookmark the permalink.